Home Amazon The Lego Ideas Book – Price DROP!! The Lego Ideas Book – Price DROP!! Know anyone who builds LEGO all the time? Hurry and get the The Lego Ideas Book: Unlock Your Imagination today for only $14.61 from Amazon! Save 42% off the regular price of $24.99. Amazon Prime members get FREE 2-day shipping!! If you are not a Prime member, get FREE shipping when you purchase $25 or more of eligible items across any product category. Check out The LEGO Ideas Book details below. A hit among parents and in classrooms for inspiring imagination and creativity, The LEGO Ideas Book has won a Teachers’ Choice Award, Parents’ Choice Award, and is a Children’s Choices Selection from the Children’s Book Council and International Literacy Association. 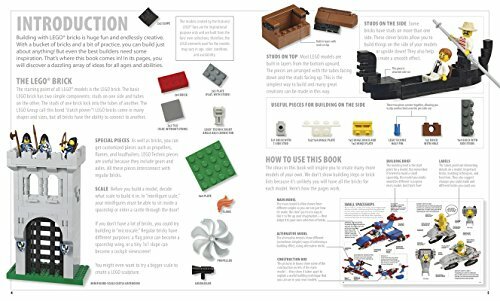 Buy the The Lego Ideas Book: Unlock Your Imagination from Amazon.